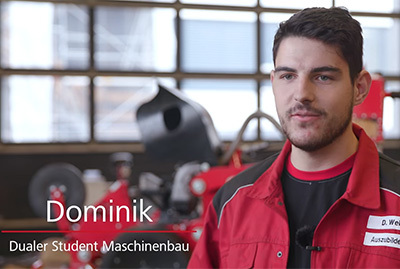 State-of-the-art agricultural engineering, internationality and an excellent co-operation of all colleagues – these are only some of the characteristics HORSCH is well known for. The company grows continuously and is always looking for motivated employees who want to join the team. Within the HORSCH company the employees can develop freely and they are encouraged individually. WHAT DOES HORSCH OFFER AS AN EMPLOYER? WHY IS AGRICULTURAL ENGINEERING SO IMPORTANT? WHICH BENEFITS ARE OFFERED BESIDE THE JOB? Who can apply for a job at HORSCH? Graphic from the official company presentation Sales growth! You are looking for an internship or an apprenticeship training position? You want to write your final thesis in a company? You want to start a career or you already have many years of professional experience? And you are into high-tech, innovation and have a passion for the future-oriented sector of agricultural engineering? HORSCH produces top-level agricultural machines. Among them particularly figure machines for the sectors tillage, sowing and plant protection. The name HORSCH does not only stand for technology, but also for innovative and future-oriented farming. The agricultural engineering sector developed considerably in the past few years and is marked by high-tech and innovations. Whether you are into technology or farming – HORSCH is the right employer for you. You can take an active part in developing a sector that is so crucial for the future like the production of high-quality food and you can contribute your ideas. In the family-run company HORSCH the satisfaction of the employees (1,800 in January 2019) is a matter of personal importance. There are different possibilities to organise the working hours as flexible as possible to balance work and family life. A close contact to the employees is very important for HORSCH. In case of problems the company assists the employees and together they look for a solution. Putting trust in the employees and motivating them to perform efficiently is one of HORSCH’s first priorities. The employees benefit from flexible working hours and further education and advanced training opportunities. Open communication with the colleagues and the superiors as well as fairness when dealing with each other are important values of the company. This to a great extent contributes to an excellent working atmosphere and to employee and colleague satisfaction. HORSCH is active on an international level. A large part of the machines is produced for export. Of course, there are HORSCH sites abroad, partly even with own production plants. Thus, it is possible for employees from a lot of departments to achieve cross-cultural competences and to discuss with colleagues from all over the world. Moreover, HORSCH encourages employees to travel abroad. This is an excellent opportunity for all employees to not only work abroad, but also to get to know other cultures and mentalities and thus to develop on a personal level. For several generations the Horsch family has been closely connected to farming. „We are and always have been farmers who focus on the sustainable cultivation of the soil”, the managing directors Michael and Philipp Horsch emphasise. This is why the family runs a large test farm in the Czech Republic to develop new farming systems and test new machines in the field before including them in the range of products. The next years will bring further challenges for the agricultural sector like the climate change and the constantly increasing world population. We as a manufacturer of agricultural machinery contribute a lot to solve these problems with our innovative technology. We offer high-tech jobs in a future-oriented sector. For HORSCH, a company pension scheme is a matter of course. In the social sector, too, HORSCH supports its employees. For example, when looking for a short-term care and support offer in case of a crisis the family cannot manage alone. But the company also takes care of the health and the fitness of the employees. The „Forest Factory“ that is being built at the moment will not only increase the production capacity at the headquarters in Schwandorf, but will also house sport and fitness rooms. The employees will not only be able to improve their physical fitness and to compensate for the everyday work life, but also to strengthen the social contact with the colleagues. HORSCH’s special focus is on the family. HORSCH is the only employer in Eastern Bavaria that offer a holiday child care program for the children of its employees. For already four times HORSCH has been awarded the prize „Bavaria’s Best 50“. This prize is awarded by the Bavarian Ministry of State and honours particularly fast-growing medium-sized companies. Moreover, in 2010 HORSCH received the „Große Preis des Mittelstandes“ which is one of the most coveted German economic prize for medium-sized companies. In 2018 HORSCH received the award „Successful. Family-friendly.” for its commitment with regard to a family-friendly workplace. The award especially honours the compatibility of family and job. A very special prize was the „HR Excellence Award“ that HORSCH received in 2016. In the category „Innovation of the Year“ HORSCH ranked first for its co-operation with the refugees and its cross-cultural training program. HORSCH is the top employer in the future and high-tech sector of agricultural engineering, which has already received several awards! But how exactly is it to work at HORSCH? We let our employees speak! 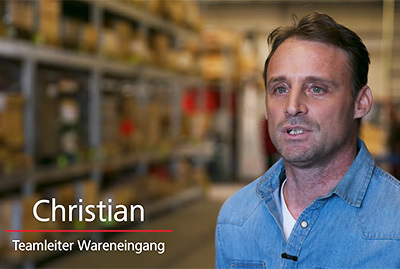 Video with the main focus: Teamwork and how great it is when everyone gets involved from the point of view of Michael Horsch (Managing Director). Video focusing on agricultural technology as a leading high-tech industry and the importance of HORSCH as an international player with Philipp Horsch (Managing Director). 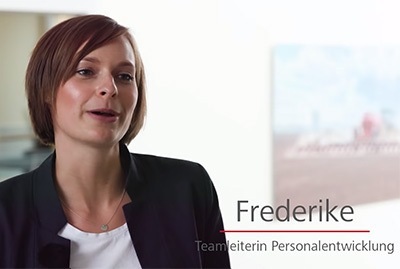 Video with a focus on social aspects and the compatibility of job and family, also from the perspective of Cornelia Horsch (Managing Director). Video with the focus: Teamwork and short ways in development and also in exchange with the management level from Theo Leeb's point of view (Managing Director). HORSCH is the top employer in the future and high-tech sector of agricultural engineering. 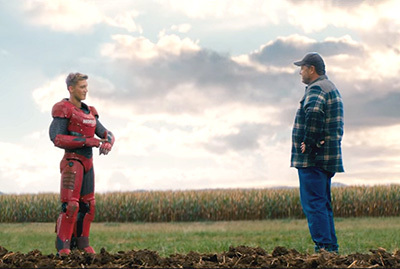 In line with our image campaign Farming Heroes we are looking for the hero makers of tomorrow! The FARMING HEROES stand for every single farmer and farm manager worldwide who professionally orients their farms for the future and thus achieves great results. We focus on them as FARMING HEROES who take their responsibility for nature and society seriously. YOU WANT MORE ABOUT HORSCH?